As social beings, humans spend a lot of time thinking about each other, but it can sometimes be hard to find the right words to tell somebody that you’re there for them. Hopefully, the fifty quotes below will help you to reach out to the people who are close to you. I keep coming back to you in my head, but you couldn’t know that, and I have no carbons. What you have, what you are – your looks, your personality, your way of thinking – is unique. No one in the world is like you. So capitalize on it. If I’m talking to you, I can’t see you, but I can see inside of you and what you’re thinking. That’s a mixed blessing. If you were to see me as a cheerleader, that would mean I was only watching instead of thinking. When I was thinking of you I realized all the positive influences you had on my life, thank you. 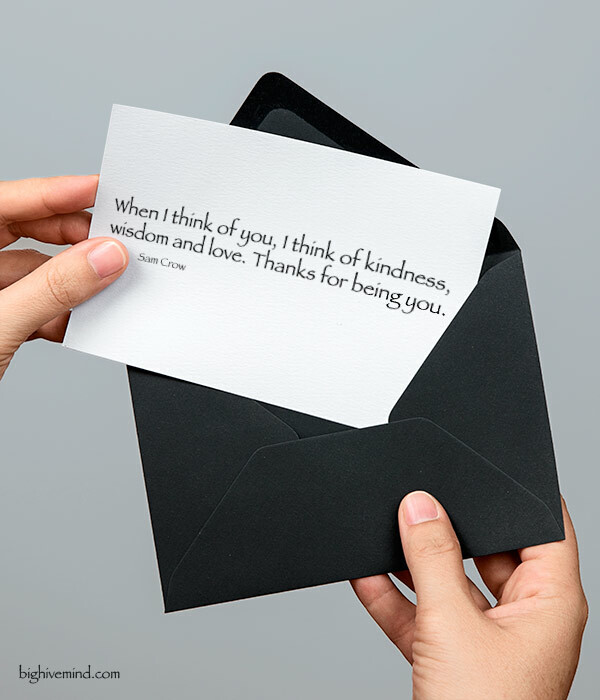 When I think of you, I think of kindness, wisdom and love. Thanks for being you. You probably deserve someone better but I swear no one wants to wakes up to your face as much as do. 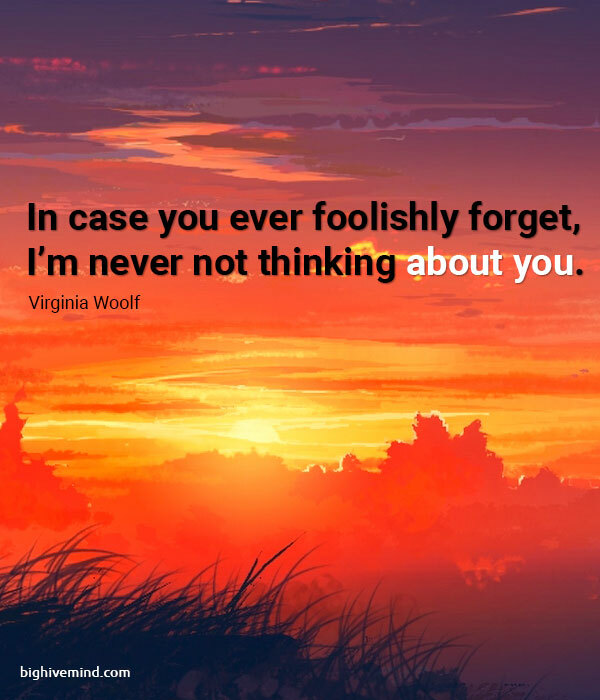 Thinking of you is easy – I do it every day. Missing you is the heartache that never goes away. You think the only people who are people are the people who look and think like you. But if you walk the footsteps of a stranger, you’ll learn things you never knew, you never knew. 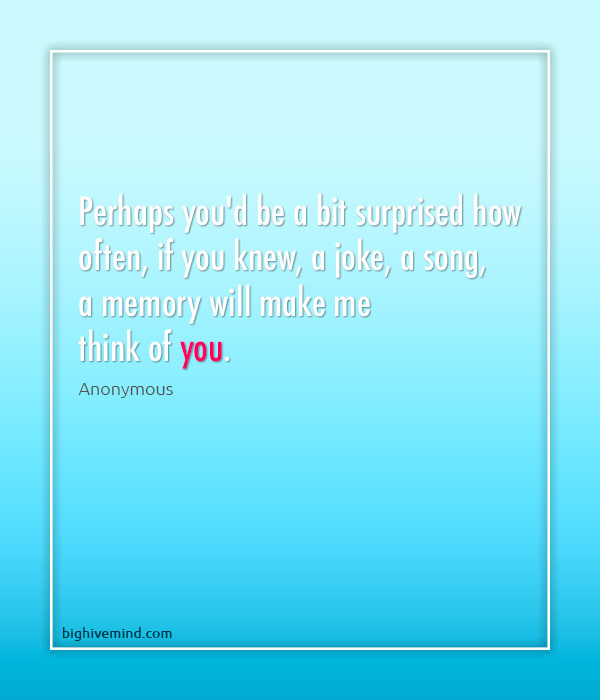 Perhaps you’d be a bit surprised how often, if you knew, a joke, a song, a memory will make me think of you. If instead of a gem, or even a flower, we should cast the gift of a loving thought into the heart of a friend that would be giving as the angels give. A dream you dream alone is only a dream, a dream you dream together is reality. Kindness in words creates confidence. Kidness in thinking creates profoundness. Kindness in giving creates love. 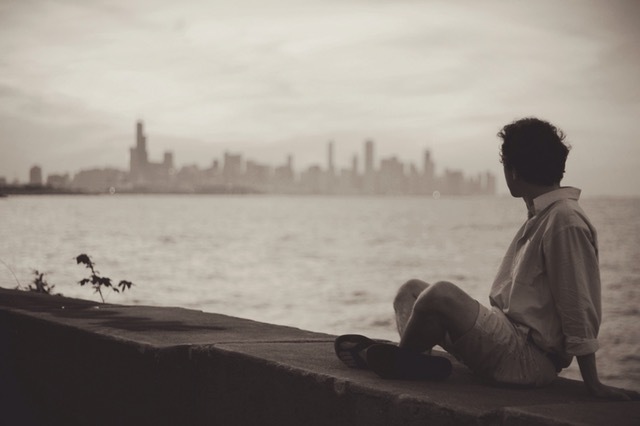 My world is lonely when I’m not with you – thinking of you every minute. It’s always nice to have someone in your life who can make you smile even when they are not around.